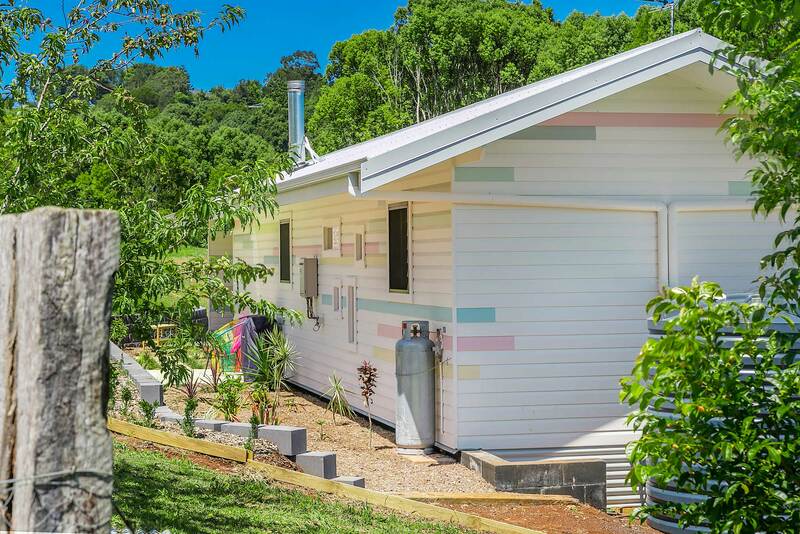 Coorabell Cottages consist of two brand new, architecturally designed cottages with all the mod cons - the Orchard Cottage and Rainforest Retreat. These can be booked separately, or booked together perfect for two couples or a small family. 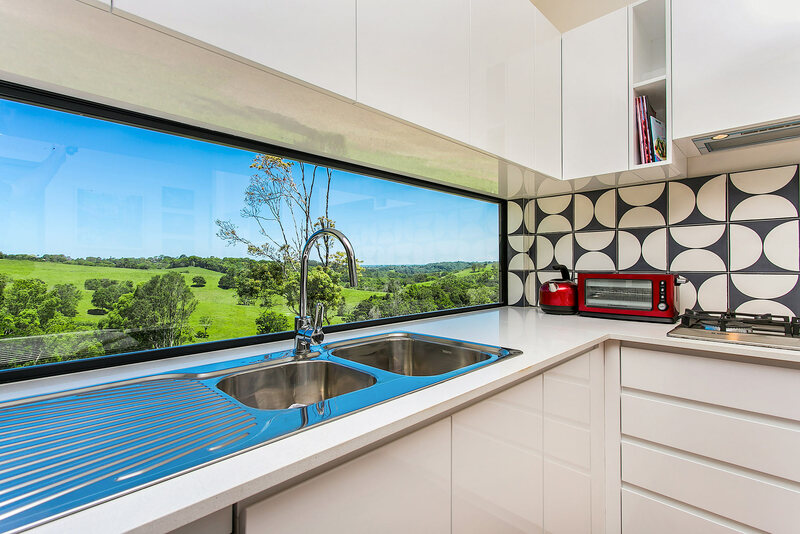 Each cottage features a designer kitchen complete with Bosch appliances, an open plan lounge with wall to wall glass panels facing the lush hills with its own fireplace for those cold evenings. 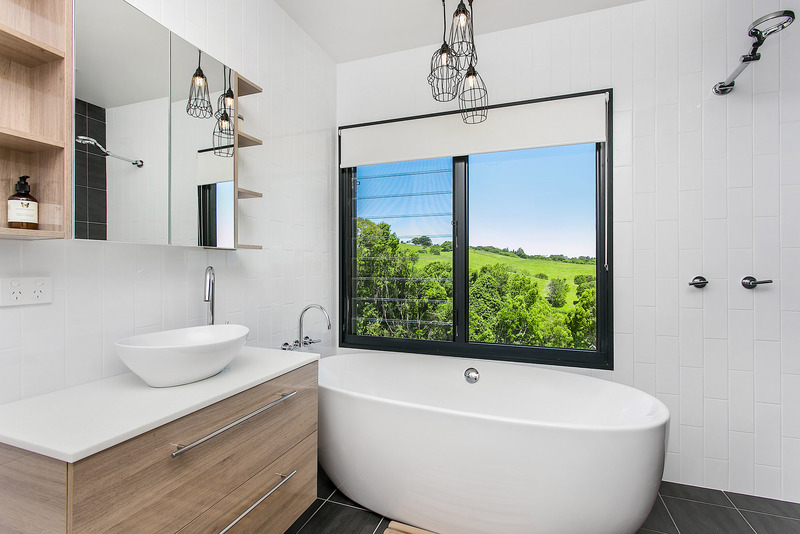 Relax in the free standing bath tub with views to the hinterland beyond. 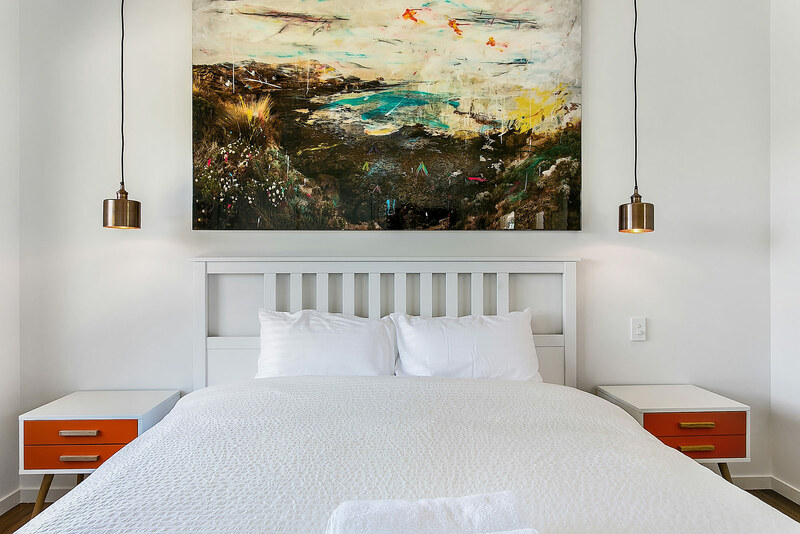 Wind down at night with a king sized bed, Tempur mattress, Sheriden Sheets and towels. A queen size sofa sofa bed is also available for a single adult or two small children in the lounge via the King couch that converts to a sofa bed (*$50 extra p/n). 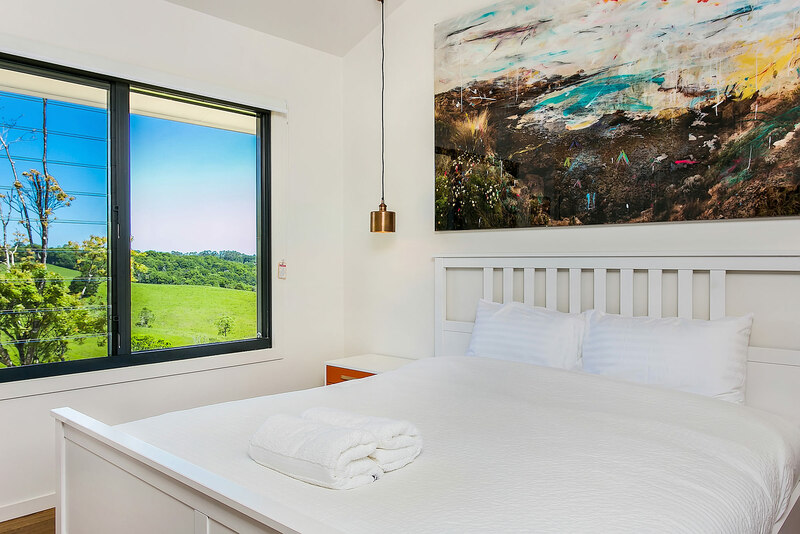 Wake up to breathtaking views of the lush green hills of Byron hinterland and enjoy all the region has to offer being located just 15 mins to Byron, 12 to Mullum, 10 to Bangalow and 5 mins to the Pacific Hwy. 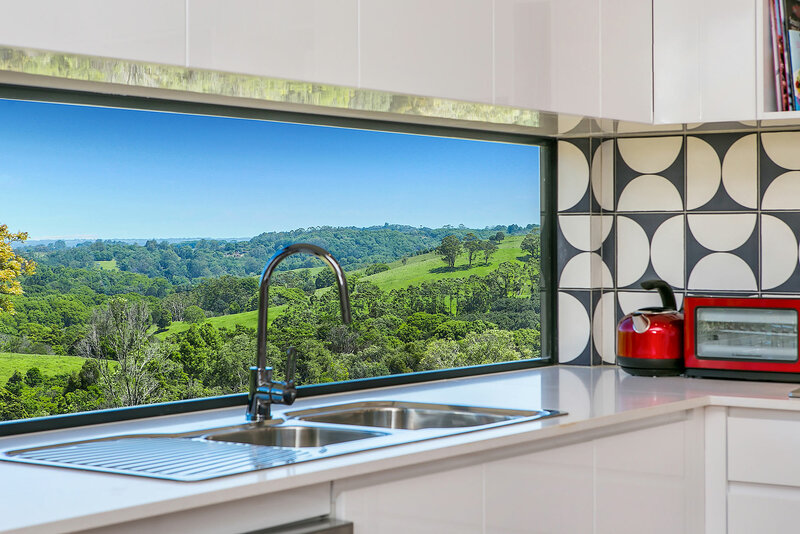 This is the best location to visit the wonderful villages that are scattered throughout the Northern Rivers. 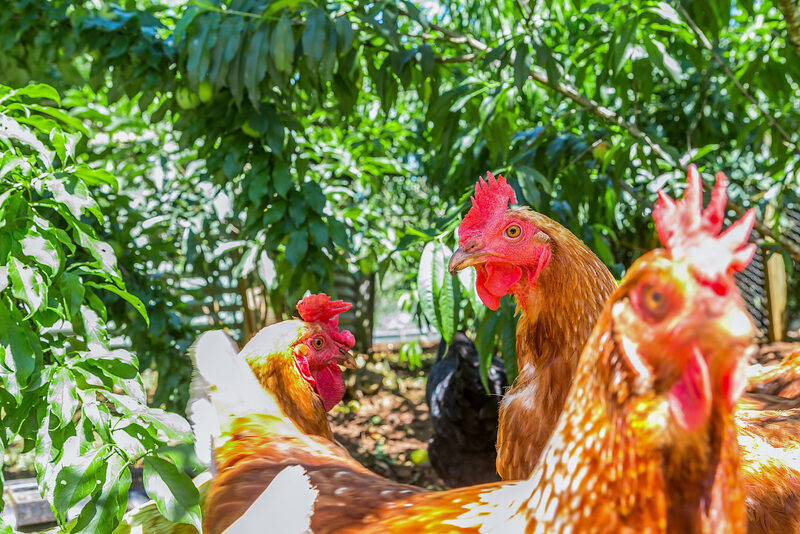 The property is off Coolamon Scenic Drive at the end of a private culdesac and provides access to organic veggie gardens onsite farmed with rich volcanic soil and friendly chickens to offer your compost to. 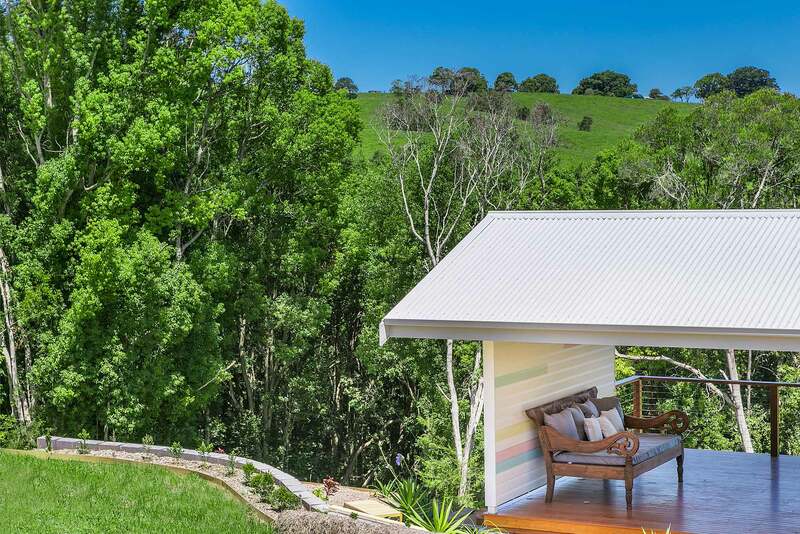 Enjoy the sound of birds singing in your own private paradise at Coorabell Cottages. We really loved the Orchard Cottage and its surroundings. The quiet, beautiful setting was lovely. We look forward to staying there again soon. 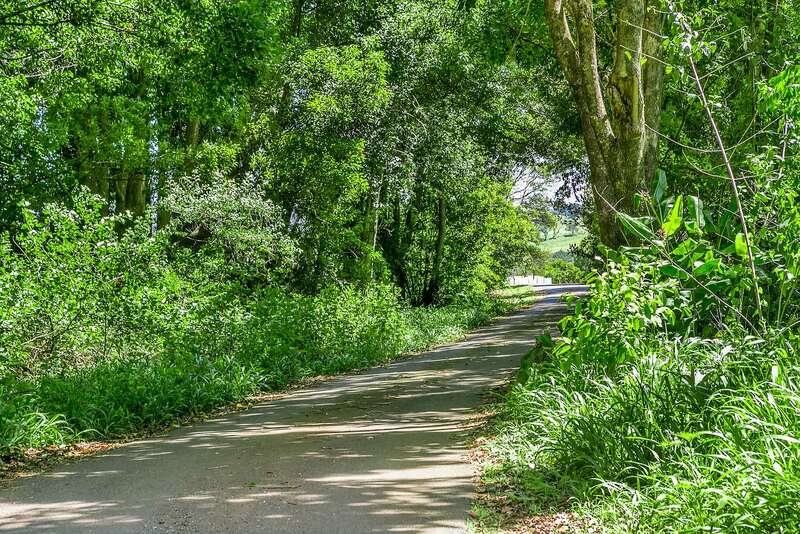 Staying at Coorabell provided us with the peace and quiet we needed to relax but a close location to town that we could go in for the beach and eats. 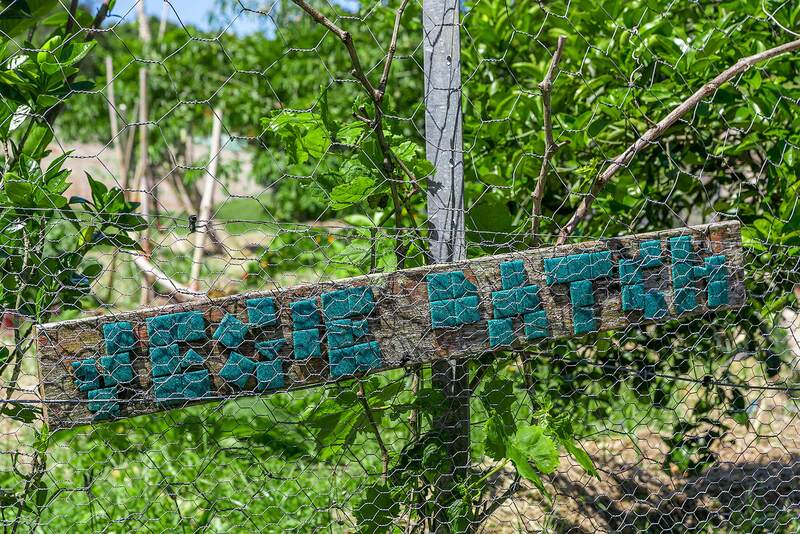 The lovely surprise of finding ourselves on a private property with a vegetable garden and animals, wonderful to meet the horticulturist who was so pleasant and friendly, gave us some eggs and supplied us with veggies. Going back to cook and prepare food in our lovely cottage with fresh produce from the property was a lovely surprise. 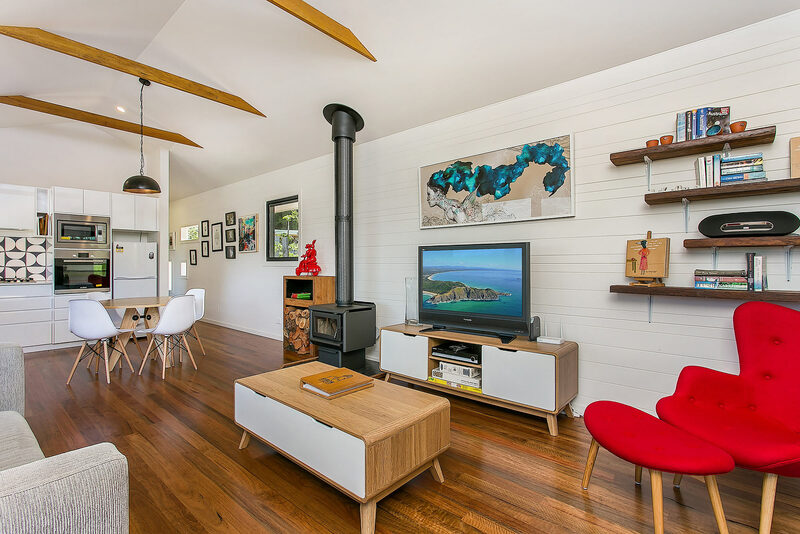 We also appreciate the thoughtful design, art and interior of the cottage. 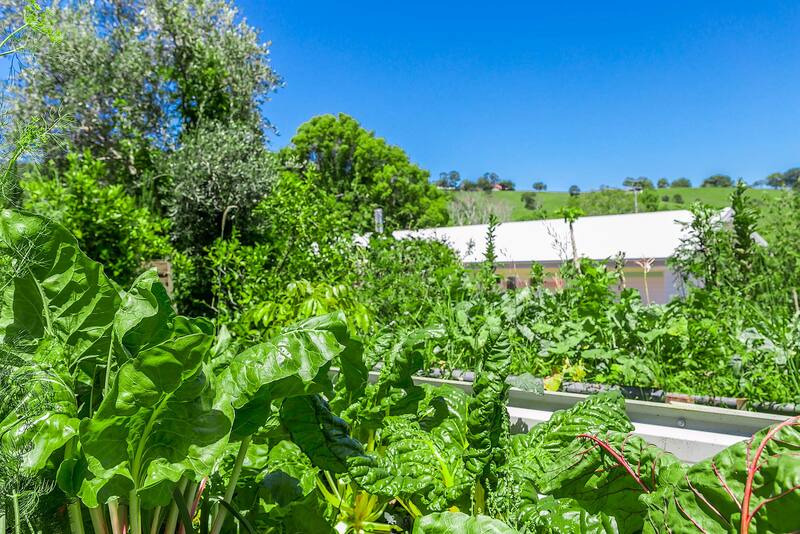 Truly a wonderful experience and stay for us - a million thanks!